When God gave His command to abstain from the tree of the knowledge of good and evil, Adam and Eve either knew that disobedience to God’s command was evil or they did not. 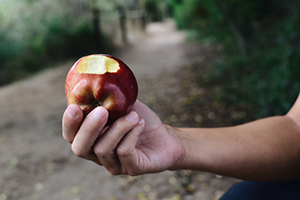 If they knew it was evil, then they already possessed the knowledge of good and evil and the command to abstain from eating the forbidden fruit would have been “an inadequate and unfair test” of their righteousness. God would have known beforehand that they would not be easily tempted to eat of the fruit given they would have known they had nothing to gain from doing so. According to the author, then, God was unjust in subjecting them to the test. On the other hand, if Adam and Eve lacked the knowledge of good and evil, they would not have understood that disobeying God’s command was evil. Thus, God would be unjust in punishing Adam and Eve for their disobedience. 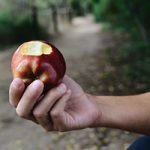 Scripture clearly indicates that Adam and Eve were not created with the knowledge of good and evil imparted by the forbidden fruit, so the first scenario does not apply. Regarding the second scenario, they clearly knew that God told them not to eat from the forbidden tree and that they would die if they did. They also knew they were created by God, given all good things by God, and that they depended on God for knowledge of His will, their purpose, and how they should live. They understood that God was good and trustworthy and had every reason to trust His ultimate authority and reject the lies of the serpent. They knew more than enough to be responsible to obey God and be punished for treating His goodness and authority with contempt. Knowledge of God’s will, goodness, trustworthiness, and ultimate authority, as well as the terrible consequences of disobedience, all provided a sufficient basis for God’s test of their fidelity and obedience. Yet this was not the knowledge of good and evil that eating the forbidden fruit would provide. The author merely assumes, apparently for the purpose of creating a logical conundrum, that the forbidden knowledge of good and evil was necessary to know that they should not disobey God, when they had more than enough reason they should trust and obey God without it. In creating two seemingly logical problems, he appears to have ignored the context and purpose of the trial, the details revealed in the text, and our dependence on the text to know and understand the meaning of the historical and theological event. Like God’s accuser in the first chapters of Job, he seems to have missed the fact that God’s excellence provides the basis for a proper love, honor, and obedience to God and thus forms a sufficient ground for the test of obedience. God’s account of creation, the fall, and redemption in Scripture tells us all we need to understand the origin of sin and our need of a Savior. And lacking the slightest hint of unrighteousness in God, the foolishness, ingratitude, and self-exalting nature of sin stands in stark contrast to the infinite power, goodness, and authority of the creator and sustainer of all things. Moreover, we easily see the difference between the loving relationship of Adam and Eve with God prior to the eating of the forbidden fruit and after, with the terrible consequences of a knowledge of good and evil united to a depraved heart. The first chapters of Genesis present a far greater conundrum than the imagined scenarios above, with a solution “impossible with men” and only “possible with God” (Luke 18:26-7). How can sinful people be saved from God’s judgment when His perfect justice cannot be compromised “and every transgression and disobedience received a just recompense” (Heb. 2:2 NAS)? How can God remain just and save the souls of rebels deserving eternal punishment? “Thanks be to God through Jesus Christ our Lord!” (Rom. 7:25 NAS). The impossible becomes reality in the person and saving work of Christ. In Him we see the excellence of God’s perfections as our benevolent creator and righteous judge and the excellence of His goodness and love in suffering infinite wrath to make us holy and happy forever. Rather than injustice in God, we see from the opening chapters of Genesis to the last verse of Revelation the unchanging and perfect justice that cannot save a single soul without payment of the infinite debt due for our sin. Perfect mercy and justice unite in Christ, forever testifying of the infinite excellence of our Creator and Redeemer. To God belongs all love, honor, and obedience, from the first days in the Garden and forever. Richard R. La Croix, “The Paradox of Eden” in The Impossibility of God, Michael Martin and Ricki Monnier, eds. (Amherst: Prometheus Books, 2003), 127-8. Scriptures marked NAS are taken from the NEW AMERICAN STANDARD BIBLE®, copyright© 1960, 1962, 1963, 1968, 1971, 1972, 1973, 1975, 1977, 1995 by The Lockman Foundation. Used by permission. We respect your privacy. We’ll NEVER sell, rent, or share your email address. That’s more than a policy, it’s our guarantee!